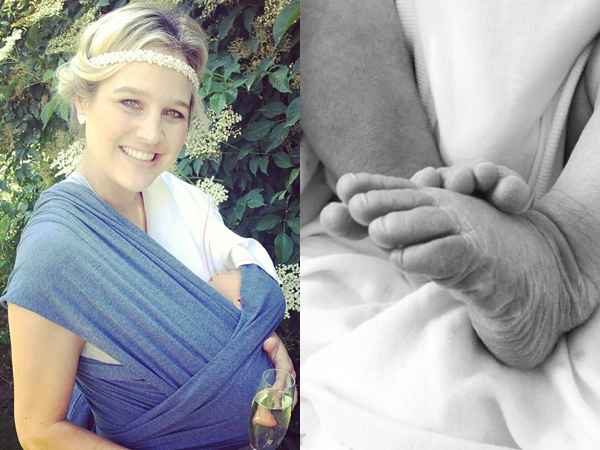 How adorable is little Katerien, Minki van der Westhuizen’s baby daughter? She’s the first child of model and TV personality Minki and Saracens rugby player Ernst Joubert, and mom shared this pic on Instagram. Katerien was born last week and it’s clear her proud mom and dad just love her. “I’m a mom. My greatest achievement so far!!! Thank you, Jesus, for this unbelievable blessing!! #katerien #dankbaar,” Minki tweeted earlier today. Minki says neither sets of their parents were in England for the birth. “We introduced her to the family on Skype!” Too cute!